NOTICE: Activation key must be used on a valid Steam account, requires internet connection. 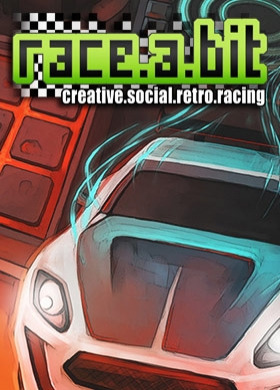 ABOUT THE GAME	Experience the thrill of retro racing on crazy tracks in the very first social racer – completely in the style of 8 and 16-bit classics. Enjoy the reinterpretation of old-school gameplay in combination with perfect controls and the driving beats of unique artist Bit Shifter!Be c… reative: Race on self-designed tracks and share them with people all over the world! Countless level objects and a user-friendly editor offer you virtually infinite possibilities to let your creativity run free.Compete against friends and the highest ranking players and beat their times on original tracks and maps created by them! Fight your way to the top of the global leaderboards!Thanks to pick-up-and-play controls, you can jump right in and you'll soon be drifting through the bends and speeding along the virtual tarmac like a pro!KEY FEATURES A large selection of tracks and vehicles	Powerful level editor with countless objects and functions	Various control modes to suit everybody's style	Fast-paced racing game with a fresh interpretation of the 8-bit/16-bit style	Fantastic soundtrack by Bit ShifterSYSTEM REQUIREMENTS Windows OS: Windows XP SP2+ or higher Processor: Dual Core 2.0 GHz, SSE2 instruction set support Memory: 1 GB RAM Graphics: DX9 (shader model 2.0) capabilities with 512MB VRAM DirectX: Version 9.0 Storage: 400 MB available space Sound Card: DirectX9.0 compatible sound card	Mac OS: Mac OS X 10.8+ Processor: Dual Core 2.0 GHz, SSE2 instruction set support Memory: 1 GB RAM Storage: 400 MB available space Linux OS: Ubuntu 12.04+, SteamOS+ Processor: Dual Core 2.0 GHz, SSE2 instruction set support Memory: 1 GB RAM Storage: 400 MB available space © 2016 Headup Games GmbH & Co. KG, all rights reserved.